Kansas and Arizona both use a “dual” election system based upon the form of voter registration one uses. Both states refused to allow those who use the federal voter registration form, which requires only an attestation of U.S. citizenship, to vote in state and local races after losing a legal challenge earlier to require the Election Assistance Commission (EAC) to add the state-specific requirement of proof of citizenship to the federal voter registration form for Kansas and Arizona. Voters using the federal voter registration form can only vote in federal races. The ruling was a blow to Mr. Kobach, a Republican who has emerged as a national figure on [voter suppression], a candidate for governor of Kansas and an ally of President Trump in part by claiming that large numbers of noncitizens have cast ballots in American elections. Experts on election law say that there is no evidence that voter fraud is a pervasive problem. In her ruling, Judge Robinson dismissed Mr. Kobach’s claim. “Instead, the Court draws the more obvious conclusion that there is no iceberg; only an icicle, largely created by confusion and administrative error,” she wrote. She ordered Mr. Kobach to instruct all state and county elections officers that people trying to register to vote in Kansas do not need to present proof of citizenship in order to complete their registration. Registrants who have not provided proof of citizenship must be listed the same as all other registrants. U.S. District Court Judge Julie Robinson coupled her opinion with pointed complaints that Kobach had failed to comply with court rules requiring disclosure of evidence to the law’s opponents in advance of the trial. Robinson, an appointee of President George W. Bush, ordered Kobach to do an additional six hours of continuing legal education in the 2018-19 year, above and beyond the ordinary state requirements. The American Civil Liberties Union, which brought the suit against Kobach, said the ruling demonstrated that the Kansas official’s actions were unconstitutional. Arizona was not a party to this lawsuit, but it has been working in concert with Kansas Secretary of State Kris Kobach, the GOP’s voter suppression specialist, in challenging the federal voter registration form for proof of citizenship. This decision is thus persuasive precedent to challenge Arizona’s “dual” election system. Arizona officials announced Monday a settled lawsuit that says thousands of residents are being disenfranchised by the way the state handled voter registration applications that don’t provide proof of citizenship. The suit filed by the League of United Latin American Citizens and Arizona Students’ Association against Arizona Secretary of State Michele Reagan and Maricopa County Recorder Adrian Fontes. The lawsuit claimed the state’s voter registration process was unduly burdensome, as people who use a state-produced application and fail to provide proof could not vote in both state and federal elections. Plaintiffs wanted Arizona officials to register applicants who use the state form so that they can vote in federal elections, even if they don’t provide proof. The groups that challenged the registration practices said 26,000 voters in Maricopa County alone have been disenfranchised as a result of the state’s policies. 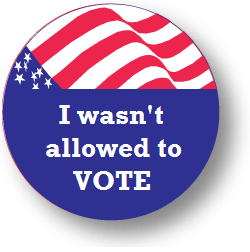 Arizona had a voter-approved law that requires proof of citizenship when registering to vote. The U.S. Supreme Court ruled in 2013 that states can’t demand proof of citizenship from people who are registering to vote in federal elections. That decision led the state to set up a two-tier voting system that allows people who didn’t provide citizenship proof to vote only in federal races, meaning they can’t cast ballots for candidates in state races, such as governor and attorney general. A sample of 2,000 rejected state-form registrations in eight of Arizona’s 15 counties that didn’t contain citizenship proof found that less than 15 percent of them successfully re-registered after getting notice of the rejection, according to the lawsuit. “Voters will now have the clarity they need along with a heightened level of election integrity,” Reagan said in a statement. “We are pleased that the bureaucratic nightmare in Arizona is coming to an end,” Danielle Lang said, senior legal counsel, voting rights and redistricting at the Campaign Legal Center. If this settlement stands, Arizona will be the only state with a “dual” election system. A resident who registers to vote using the federal voter registration form or who is unable to provide proof of citizenship using the state voter registration form will only be allowed to vote in federal races, but is disenfranchised from voting in state and local races. For what it is worth, I would encourage plaintiffs’ counsels to reconsider this settlement in light of the decisive Kansas District Court decision. And the grossly incompetent Secretary of State Michelle Reagan should be voted out of office for this voter disenfranchisement scheme. We all have two things in common that make us Americans. We are all the children of immigrants, and we all get to vote for our representation. The GOP hates both these things because the GOP hates Americans.